Unipack utilizes every major van line nationwide and has the ability to relocate your household goods domestically upon request. Our method is based on our international model which, in certain cases, can prove to be the most cost effective method for your particluar move. Provide us with the necessary details below to receive a domestic relocation quote or contact us directly and we will build a proposal that works for you. 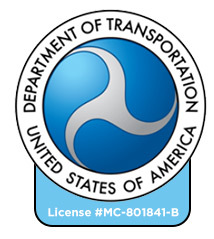 The Federal Motor Carrier Safety Administration’s regulations protect consumers on interstate moves and define the rights and responsibilities of consumers and household goods carriers.Every mover is required, by law, to provide this pamphlet prior to your move! — PDF Pamphlet : Your Rights and Responsibilities When You Move To further prepare for your move, please download this “Ready To Move” Checklist. SELECT WHAT YOU WILL BE SHIPPING WITH THE TABS BELOW & COMPLETE!